THE CANOPY IS FOR CUSTOMER SET UP ONLY. IT HAS TO BE INSTALLED ON A LAWN BECAUSE IT HAS TO BE STAKED ALL THE WAY AROUND THE PERIMETER. 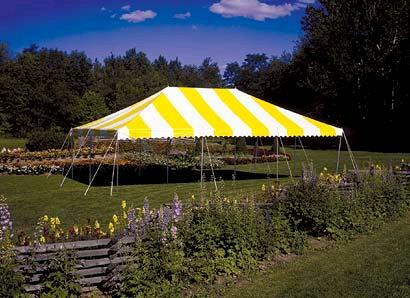 Please call us with any questions about our canopy 20 x 30 yellow/white rentals in Morristown NJ, Madison NJ, Cedar Knolls and Morris Township NJ.